Old silk ikat panel, with the most delicate silk and natural colors. This is a collector’s piece. Some small holes. 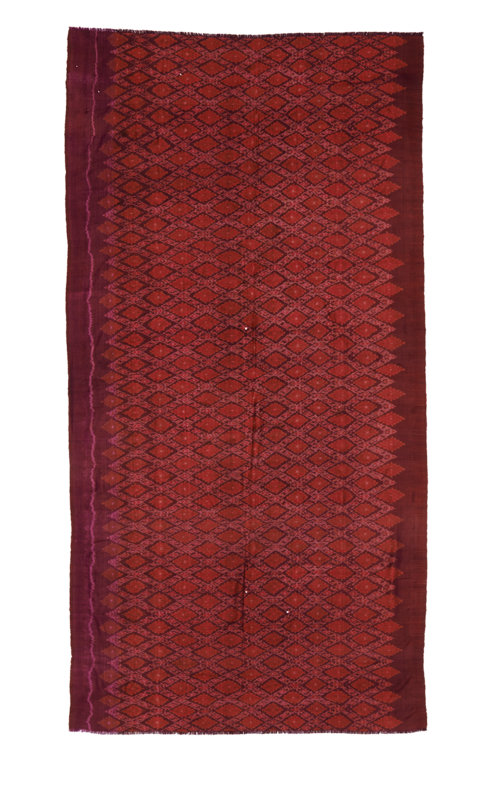 Silk ikats were dyed with natural dyes, giving reds, yellows, greens and browns. They were worn on special occasions. Wear is consistent with age and use.